Join our renowned guide Andrew Dugmore along the inspirational Pembrokeshire coast path and walk along windswept headlands, watch soaring sea birds, delight in the colourful array of the coastal blooms and touch the golden sands of secluded coves. Hear stories of pirates, saints and Princes of Wales. So take some time out with Cuffern Manor walking holidays, become inspired, breathe the fresher air and return relaxed, refreshed and recharged. Our lead walking guide is Andrew Dugmore, a thoughtful guide who genuinely wants to make your break away from it all a special one. On the first evening you will be greeted by Andrew who will then share with you “tales of the Celts” told in the authentic tradition of the storyteller. Day 1 –Dale Headland. A walk around the magnificent cliffs, coves and headland. Passing St Annes head and lighthouse and the place where Henry V11 landed to march to victory at the Battle of Bosworth. Return to the historic and picture postcard fishing village of Dale. Day 2 – Stackpole estate. A trip to the South Coast of Pembrokeshire and walk one of the iconic walks of Britain, from Stackpole Quay to Bosherton lily ponds. 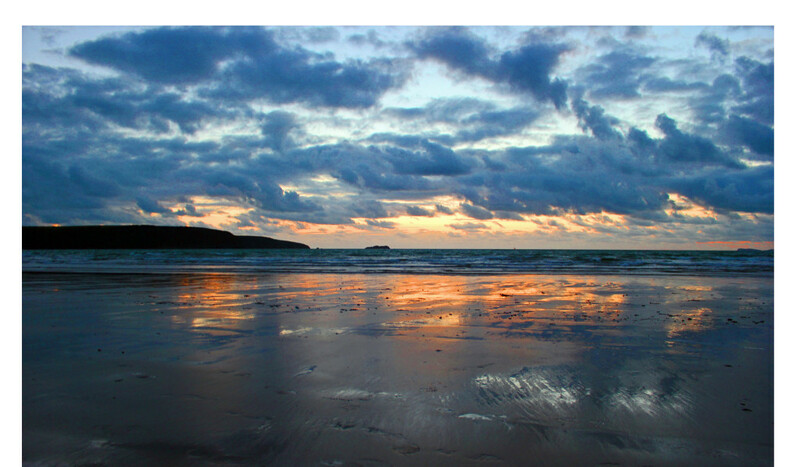 Follow the tranquil lakes to the golden sands of Broad Haven and the renowned Barafundle Bay, a beach regularly featured as one of the Best in Britain. Day 3 – St Davids headland. Our final day walk is along the St Davids headland, enjoy some of the most incredible coastal landscapes of anywhere. Your guide will finish your journey with an insightful guided tour of St Davids Cathedral. The distance for the walks will be between 7 to 9 miles and because of the nature of the coast path there will be some ascent and descent. Each day transport will be provided from Cuffern Manor Country House to your walking destination. We will be staying at the excellent Cuffern Manor Country House, where you will find plenty of space to relax in two guest sitting rooms or the three acres of gardens, both overlooking beautiful countryside. You will be provided with local, organic and fair-trade food, as far as possible, starting the day with a choice of cooked and continental breakfast, then afternoon tea and cake and a generous home cooked meal in the evening. Packed lunches can be provided at an additional cost or you can buy while out. Cost: Please get in touch if you have a group of walkers who wish to book up this holiday and we can discuss possible dates and cost, depending upon dates and numbers. Arrive: From 4pm for an evening meal at 7pm.